TMC Clean Top II Breadboard with Active Isolation Stand. 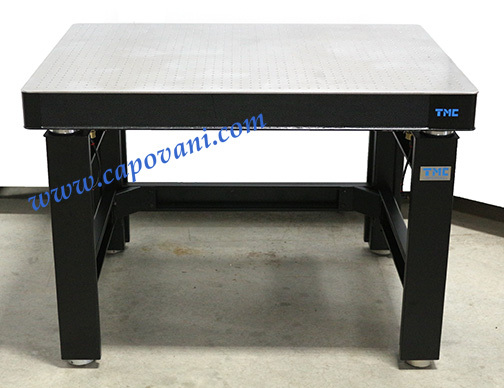 In addition to this Technical Manufacturing Corporation 78-23764-01, Capovani Brothers Inc stocks a wide range of used optical tables and vibration isolation tables. Typical manufacturers include Barry Controls, Ealing Electro-Optics, Kinetic Systems, Newport, and Technical Manufacturing Corp.(TMC). Table base has adjustable feet.